Claudio Ranieri’s dismissal was one of the low points of the Premier League season for almost everyone who follows English football. The Italian’s stupendous work as he guided the unfancied Foxes to the league title last term will live long in the memory, yet it is hard to argue that choosing to dismiss him wasn’t the right call. Since the 65-year-old’s departure and Craig Shakespeare’s subsequent appointment on a temporary basis, Leicester have actually taken 22 points from a possible 30 in their last 10 Premier League matches. From being deeply embroiled in a battle for survival the defending Champions now sit in 9th place just narrowly missing out on a push for Europa League qualification. It has been the sort of run that if sustained for the majority of the campaign lands you in contention for Champions League qualification. Ahead of the 2017/18 season, this is likely to be the aim for an ambitious club that is determined to ensure their title triumph isn’t remembered as a one-off fluke without any future, long lasting benefits. 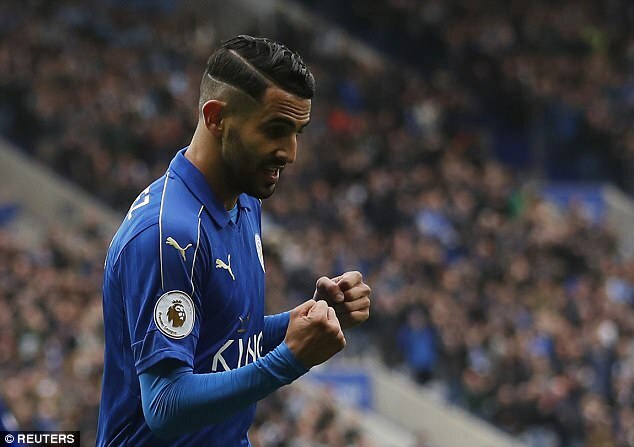 There is talent in Leicester’s team; Riyad Mahrez is one of the finest playmakers in the country when he is in form whilst January signing Wilfred Ndidi looks capable of carrying a midfield in a not too dissimilar manner to N’Golo Kante. Jamie Vardy is rough around the edges but will get you goals and it is likely the club will spend significantly once more this summer. The issue they will have is keeping the talent that has now tasted Champions League football with goalkeeper Kasper Schmeichel having already told the BBC just how important those nights are to a footballer. “Those Champions League nights are special, there is something about night matches going to different cities across Europe, it is unique and something that I’ve appreciated but also now want even more,” he explained. The Danish goalkeeper is the subject of interest from Arsenal and Manchester United and albeit only a passing intrigue at this stage, Leicester are bracing themselves for offers in the summer. Mahrez can leave the club if a team bids £40 million although that is unlikely to occur with teams put off by his lack of consistency in 2017. Danny Drinkwater is a player of huge importance to Shakespeare’s team and will be once again relied upon for creativity next year, but it is likely signings will be necessary to support him with a repeat move for Sporting Lisbon midfielder Adrien Silva a possibility after his deadline day switch to the Midlands fell through last summer. It was thought that the club had stumbled upon the proverbial golden ticket upon lifting the Premier League trophy with the Promised Land of Champions League qualification bringing with it unbelievable riches and a permanent reputation boost. In reality this has only been half true, the club is in a far better position than they were 18 months ago but it wasn’t the lottery win that many predicted, as a tough campaign has proven. Reaching the Champions League quarter-final stage was a fine accomplishment and did actually show that the Blues weren’t too out of their depth dining at the continent’s top table. Atletico Madrid did outclass them, but it is important to remember they have been to two of the last three Champions League finals. In their last 10 matches we have seen everything that was good about Leicester City. They are direct in attack and are bringing the best out of Vardy once more whilst defensively there is far more focus about them than in the drab 3-0 home defeat to Manchester United which all but sealed Ranieri’s fate. Personnel wise there may well be a decision to make on the Wes Morgan/Robert Huth partnership with both players aged 33 and 32 respectively. Younger centre-halves will have to be prioritised if the club is to move forward. Unfortunate as it is given his success, Leicester were sinking like a lead balloon under the former Juventus coach this season. The club’s ownership took a decision that has kept them in England’s top flight and they have since shown their potential for next season. The players seem happy once again and with the right additions there is no reason why Leicester cannot use their experience from the last two seasons and really push the clubs ahead of them for European qualification next year.